Here's the Complete Specs for The Wonder Years: The Complete Series! 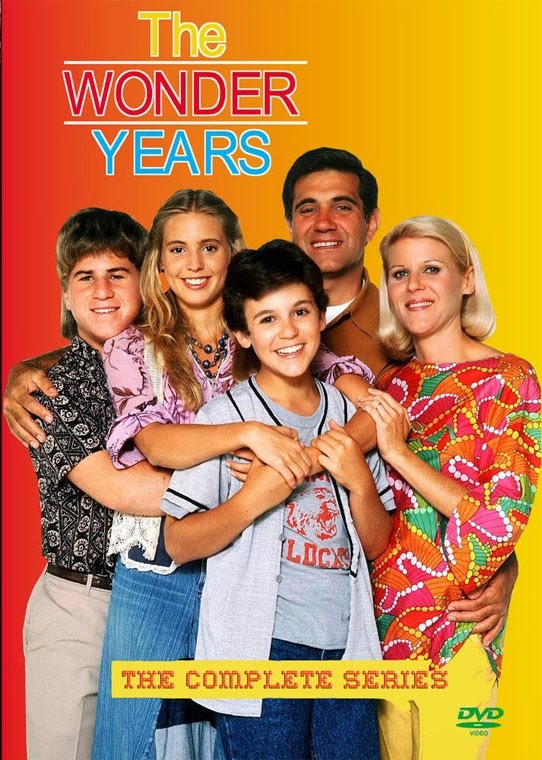 In 2014, StarVista Entertainment/Time Life -- the premiere marketer of classic TV on DVD -- will release The Wonder Years: The Complete Series to the home entertainment marketplace. 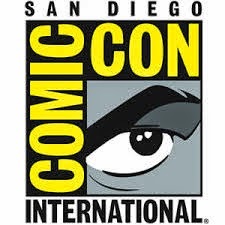 The most requested TV series never to be released on DVD, which ran on ABC from 1988-1993, garnered multiple Emmy Awards, a Golden Globe and a Peabody, and was named by TV Guide as one of the "Top 20 Shows of the '80s" will make its very long-awaited debut in the second half of 2014. As it did for China Beach, StarVista Entertainment/Time Life is painstakingly securing the rights for virtually every song in The Wonder Years. From Cocker's theme song, to hundreds of other memorable and classic soul, rock and pop songs, including classics from The Beatles, Bob Dylan, Smokey Robinson, Joni Mitchell, Van Morrison and many others, StarVista /Time Life recognizes the necessity to release the series as it was initially broadcast, un-edited and untouched from original broadcast masters. 2014 WILL SEE THE LONG-AWAITED RELEASE OF THE BELOVED, EMMY AWARD-WINNING TV SERIES THE WONDER YEARS NEVER BEFORE AVAILABLE ON DVD IN ITS ENTIRETY! FAIRFAX, VA - In 2014, StarVista Entertainment/Time Life -- the premiere marketer of classic TV on DVD -- will release The Wonder Years: The Complete Series to the home entertainment marketplace. The most requested TV series never to be released on DVD, which ran on ABC from 1988-1993, garnered multiple Emmy Awards, a Golden Globe and a Peabody, and was named by TV Guide as one of the "Top 20 Shows of the '80s" will make its very long-awaited debut in the second half of 2014. To best serve the numerous fans of the program, StarVista Entertainment/Time Life has launched WonderYearsDVDs.com, the official site for all updates, exclusive content and pre-orders. Routinely praised for high-quality TV DVD collections, an archivist's attention to detail, and specially produced bonus programming on releases such as Get Smart, The Carol Burnett Show and China Beach, StarVista Entertainment/ Time Life is planning a deluxe release of the The Wonder Years, which starred Fred Savage, Danica McKellar, Dan Lauria, Alley Mills, Jason Hervey, Olivia d'Abo, Josh Saviano and Daniel Stern, and featured as a theme song Joe Cocker's unforgettable rendition of the Beatles' "With A Little Help From My Friends." Production has just wrapped on the exclusive extras for The Wonder Years: The Complete Series including featurettes, commentary, in-depth interviews and more -and StarVista Entertainment/Time Life is excited to announce that eight additional hours of bonus programming will be added to the DVD set, for a total of 23 hours (from the originally announced 15)! The Wonder Years: The Complete Series is available for pre-orders now at TimeLife.com/WonderYears. Commentary of the first kiss outtakes by Fred (Savage) and Danica (McKellar). As previously announced, the DVD set will include all six takes of the legendary first kiss from Pilot episode, with Fred and Danica originally only commenting on Take #6. Now, the set features commentary from the stars on the previous five takes, and they explain how they nailed it on take #6. "That's a Wrap! Mark B. Perry's Farewell Set Tour Season 5" -- Writer/Producer Mark B. Perry's home video set tour from the end of his final season on the show, which includes new commentary from him. "From the Vault: Alley Mills and Bob Brush Letters" -- Alley Mills reads her emotional, written conversation with Executive Producer Bob Brush about the show's finale. The one-hour finale as it was originally aired on ABC on May 12, 1993, including a deleted scene not included in the half-hour broadcasts of the final two episodes (both the one-hour finale and half-hour versions of the final two episodes will be included in the extras). "We're thrilled to be adding eight new hours of bonus programming to the already robust set of extras," says Jeffrey Peisch, the Senior Vice President, Entertainment Programming & Marketing for StarVista Entertainment/Time Life. "Thanks to our creative, hard-working production team and the incredibly supportive cast and crew of The Wonder Years, we're going to be delivering a set sure to thrill series fans, who've been eagerly awaiting its release for years." Never before released on DVD in its entirety - and available now for pre-order -- The Wonder Years: The Complete Series will be presented as a 26-disc collector's set featuring all 115 episodes housed in a replica metal locker, along with a host of extras including 23 total hours of specially-produced bonus programming --- featurettes, an incredible cast reunion 16 years in the making and never-before-seen outtakes. The Wonder Years: The Complete Series will be available exclusively online at TimeLife.com/WonderYears for $249.95. Also available day-and-date are The Wonder Years: The Complete Series ($299.95),which includes all the elements from the COMPLETE SERIES, along with a selection of limited-edition memorabilia created exclusively for this set: a Kennedy Junior High School tee shirt, tube socks, and a vintage gym bag; a Kennedy Junior High School pennant and commemorative patch, The Wonder Years collectible pins, and a newly-produced Wonder Years CD, and The Wonder Years: Signature Edition ($499.95),limited to 500 sets, includes everything from the COMPLETE SERIES and EXPERIENCE editions; each set will also be hand-signed by Fred Savage, Danica McKellar and other cast members, housed in a numbered locker and accompanied by a numbered Certificate of Authenticity.